Margarita performing cupping therapy. Photo from the author's personal collection. What do 19-time Olympic gold medalist Michael Phelps, U.S. men’s gymnast Alex Naddour, Jennifer Aniston, and Gwyneth Paltrow all have in common? They are among the many prominent athletes and celebrities who proudly sport their red and purple colored circles that dot their backs and shoulders. But, what exactly are these marks that look like battle scars from wrestling with a giant octopus? Are they the result of some latest health fad? In fact, this is an ancient healing technique called cupping, which is a therapy that involves applying suction to the skin to move Blood and Qi, as well as remove stagnation of any kind from the body. It’s a technique that’s been used in China for thousands of years, and is a part of Traditional Chinese Medicine (TCM). Here’s how cupping works: the practitioner creates a vacuum in the cup, by lighting an alcohol swab and inserting it into the cup, then quickly removing the lit swab and placing the mouth of the cup onto the skin, creating a suction effect on the area treated. For this reason, cupping is also called fire cupping. The cups are left on for a couple of minutes (practitioners are careful not to leave them on too long, or else it could be too draining for the patient), then removed. What’s left are the circle marks from the cups – purple or dark pink bruises are left if there was a lot of stagnation in that area of the body (the darker the bruise, the more stagnation present), or light pink if the stagnation wasn’t as significant. 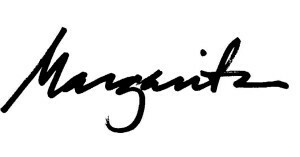 Marks disappear after a few days, and are often more significant on the first cupping treatment, since with all following cupping treatments, the circulation is improving and stagnation is resolving. Margarita mid-cupping. Photo from the author’s personal collection. Bamboo and earthenware were also used. However, globe-shaped glass cups are more commonly used today, mostly because it’s easier to clean (clean clinics are a must for all modern TCM practitioners! ), and you can also see the flame so as to avoid burning the patient. Nowadays, other ways of cupping, such as using vacuum cups with a pump (which takes the place of the fire to create the vacuum effect), is sometimes used instead of fire cupping. In addition, the ancient Egyptians were the first to use cupping therapy systematically. (Chirali, Traditional, 4.) When tracing the art of cupping through history, the ancient art was transferred by the Egyptians to the Greeks, which influenced its expansion into areas such as Turkey, Spain, and Italy. But the most popular reason for cupping, and what it’s most known for? Treating muscular and joint pain, especially in the back, shoulders, and legs. Cupping and acupuncture have now become (not so) secret weapons for athletes who are looking to recover, and heal, faster. Thus, having an edge on their competition, and helping them step up (or continue) their training. You will likely feel the strong suction of the cups, but most people find it very relaxing. Personally, I LOVE getting cupping treatments. I feel like they’re sucking out the pathogens from my body (which they are!) I always sleep like a log the night I receive cupping treatments. Fixed (Stationary) Cupping – This is when cupping is performed on specific areas of the body, and left there for a few minutes. Since this is a strong treatment, creating strong suction, it really brings up the stagnation in the body, and is not recommended for individuals with a weak constitution, because it strongly drains the stagnation from the body. Moving Cupping (Tui Guan Fa) – This is just as it sounds. Before the cups are applied to the body, a lubricant is applied to the area to be treated. After applying the cups to the body, the practitioner moves the cups up and down the channel. Moving cupping is more typically used on the back, going up and down the Urinary Bladder channels. This, too, is a draining technique to reduce the stagnation in the body. Flash (Empty) Cupping (Shan Guan Fa) – Flash cupping is known for its speed during the application. The practitioner places many cups on at once. The cups are only in place for a short amount of time (usually less than a minute), then removed, and reapplied. This technique happens for a few minutes, and is meant to stimulate the Qi & Blood enough, but not enough to drain. Because of this, it’s considered a more tonifying version of cupping. There are other cupping types, such as Needle Cupping (where a single acupuncture needle is inserted before cupping the area), Moxa (Hot Needle) Cupping (where the smoking, warming Chinese herb, moxa, is placed on top of a single acupuncture needle before being cupped), and Bleeding Cupping (where a Plum Blossom Needle or lancet is used to draw a few drops before cupping). Important cupping tip: DO NOT try this at home! 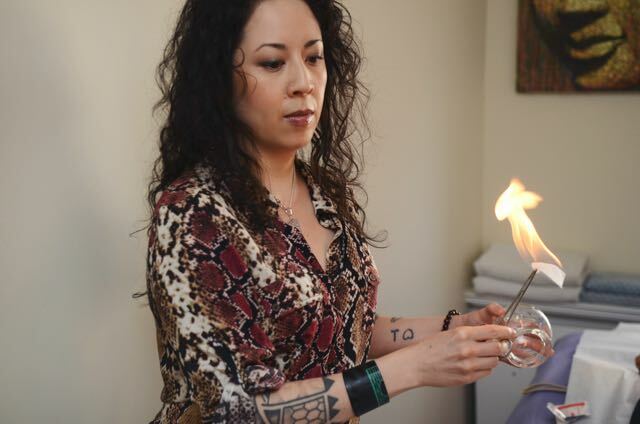 If you want to receive an optimal cupping treatment, make sure you receive it from highly trained and knowledgeable practitioners, such Licensed Acupuncturists and Chinese Medicine Doctors! Have you ever had a cupping treatment? Share it with us in the comments, below! Xingnong, Cheng. Chinese Acupuncture and Moxibustion. Beijing: Foreign Languages Press, 1999. Chirali, Ilkay Zihni. Traditional Chinese Medicine Cupping Therapy. London: Churchill Livingstone, 2001. Thank you for pointing that out! Yes, that is absolutely right that cupping has been an ancient practice in the Muslim world, as well. I will revise the article to reflect that. In Chinese Medicine, there is a similar understanding of evil releasing from the blood and channels. So interesting how there’s a comparable view across different cultures and countries. 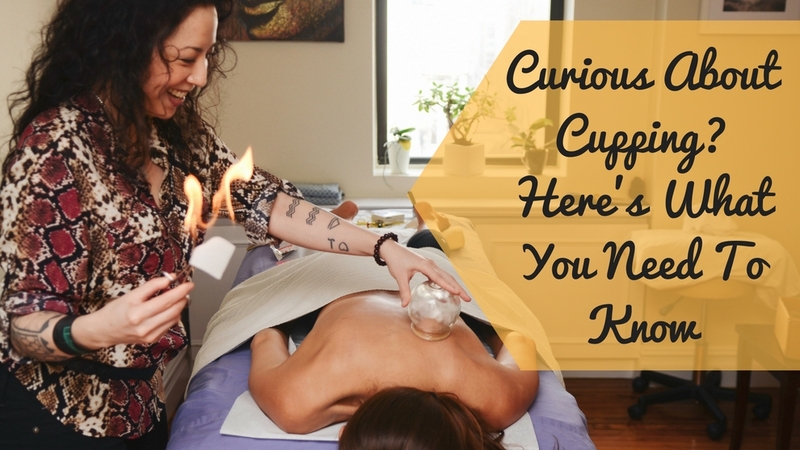 Do you have to be a massage therapist to do cupping? I can’t speak on massage therapy, since I’m an acupuncturist. However, cupping is best performed by a Licensed Acupuncturist, since it is a Traditional Chinese Medicine modality, so the training is more optimal.